The KL Rahul we know now is not the KL Rahul of the old. He started off as a technically correct batsman who didn't play too many aggressive shots. So what made him change his approach to batting? KL Rahul, when he was just 16 years old, watched Brendon Mccullum's 158 runs in the first game of the IPL and was instantly blown away. This knock inspired KL Rahul in a huge way and according to him, was the turning point where he decided to change his batting style. He also added saying that, he had started practicing hitting sixes and trying out other fancy shots after that day. Coming into the IPL as a player, the first few seasons didn't go very well for him, but his transfer to the Royal Challengers Bangalore really turned around his career in the short format and since then hasn't looked back. He then went on to the Kings XI Punjab where he had his best season smashing 659 runs at a strike rate of 158.41. From a teenager who got inspired by Mccullums innings, now has gone on to become a player who is creating a similar impact. He will be hoping to have another great season with Punjab with the World cup just around the corner as well. "என்னது ஐபிஎல் கடைசி போட்டி இங்க நடக்கபோகுதா”.. வெளியான தகவல்.. கொண்டாடத்தில் ரசிகர்கள்! 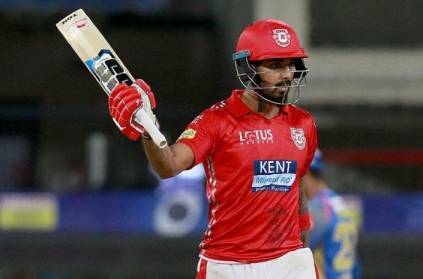 ‘கோப்பை வாங்கித் தராத கேப்டன்.. இதுக்கே கோலி RCB-க்கு நன்றி சொல்லணும்: பிரபல வீரர்! 'இருக்கு இந்தியாவுக்கு பெரிய ஆபத்து இருக்கு'...வேர்ல்ட் கப்'புக்கு நாங்க கம்-பேக்...உற்சாகத்தில் ரசிகர்கள்! சிக்ஸர் மழை பொழிந்த சின்ன ‘தல’.. பயிற்சி ஆட்டத்தில் அரைசதம் அடித்து அதிரடி காட்டிய வைரல் வீடியோ! ‘இதனாலதான் ஐபிஎல் கோப்பையை ஜெயிக்க முடியாம போச்சு’.. உண்மையை உடைத்த கோலி! This page contains news relating to various facts and events. The views are generally about current affiars and general topics in diversified areas such as political, international, national, and regional issues, sports, health, travel, lifestyle, technology and business. People having similar interets on the above topics will find this page useful. Mccullum's 158 impact on KL Rahul | Sports News.